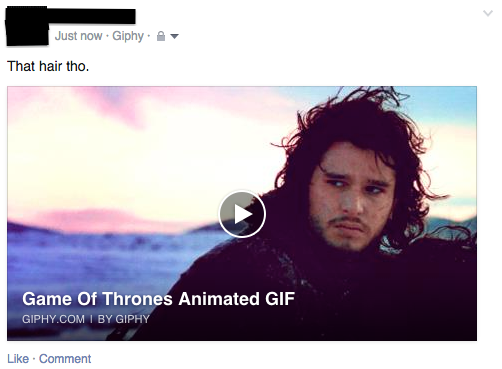 The social media Gods have delivered — animated GIFs now work on Facebook. Thanks to Giphy, animated GIFs will now play on loop, much like a video, on your Facebook posts and comments. Officially, Facebook has disputed the fact that they support animated GIFs, but Giphy has found a loophole, and since people started figuring out that GIFs actually work, the website has reportedly crashed thanks to overexcited web users. 1. Go to the Giphy website, and pick one of the many GIFs available. 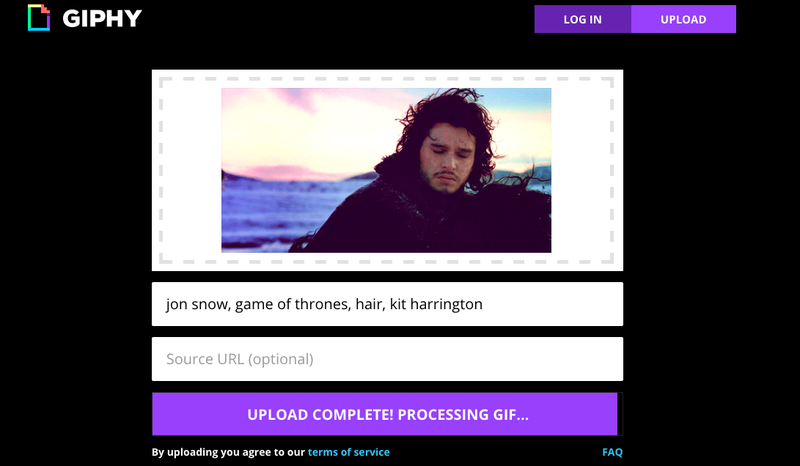 You can even use the search bar to find specific types of GIFs that you’re looking for. 2. If you have your own GIF that you want to use, just upload it onto Giphy, and add all the relevant tags. 3. Once you find a GIF you like, or have uploaded your own, simply click the Facebook icon to share it on Facebook. To share it in a comment instead, grab the GIF URL (which looks like this: “http://i.giphy.com/JwW4oYd3Wjv6E.gif”) and put it in the comment box. Huzzah! Animated responses. So get ready for weird faces and cat GIFs to start flooding your timeline. You’re welcome.